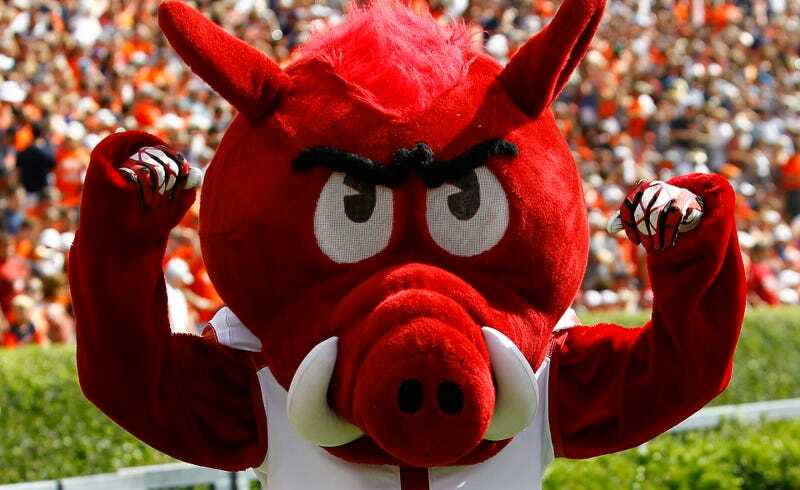 Despite the best efforts of the NRA, gun owners in Arkansas will not be allowed to bring their concealed handguns to Razorbacks football games this year. The Arkansas House of Representatives passed SB 724 this afternoon with a 71-20 vote. The vote came a week after Governor Asa Hutchinson signed HB 1249 into law, which would have allowed concealed carry in places such as government buildings, bars, and college campuses. The initial bill was so obviously stupid that SEC commissioner Greg Sankey released a statement decrying the bill. Arkansas coach Bret Bielema pointed out that the bill might make recruiting more challenging, since it’s somewhat of a harder sell to convince a player to come play his home games in a stadium where drunk people can carry guns. SB 742 is a course correction for HB 1249 that specifically outlaws bringing handguns to collegiate sporting events. Last week, Arkansas State Senate voted in favor of the bill, and today’s house approval makes it official. If there were grizzly bears in Arkansas, this might have been a whole different debate. You can find the full bill below. Trump&apos;s Education Secretary Pick On Guns In Schools: "What About Grizzly Bears?"